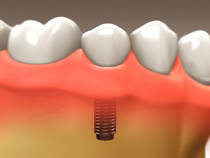 Implant Restoration - Stephen M. Sgrazzutti D.D.S. 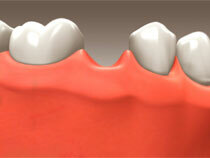 Dr. Stephen M. Sgrazzutti D.D.S. 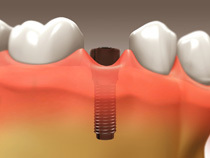 performs dental implant restoration by attaching artificial teeth to implants anchored in the bone below the gum line. 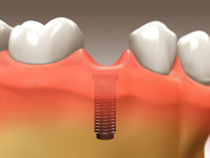 After the anchor has been surgically placed in the jawbone, excess bone and gum grow around the implant, holding it firmly in place.